Part of the Shepherd's Crook Fasteners range by From The Anvil. 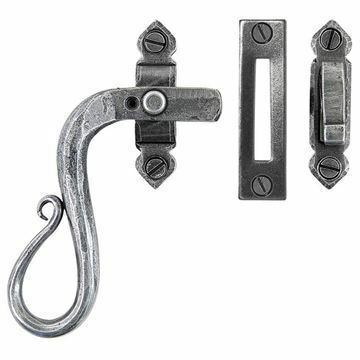 A new style of locking window fastener with a beautiful Shepherd's crook handle. Supplied with both mortice and hook plates for windows of various configurations i.e. with or without central mullion.